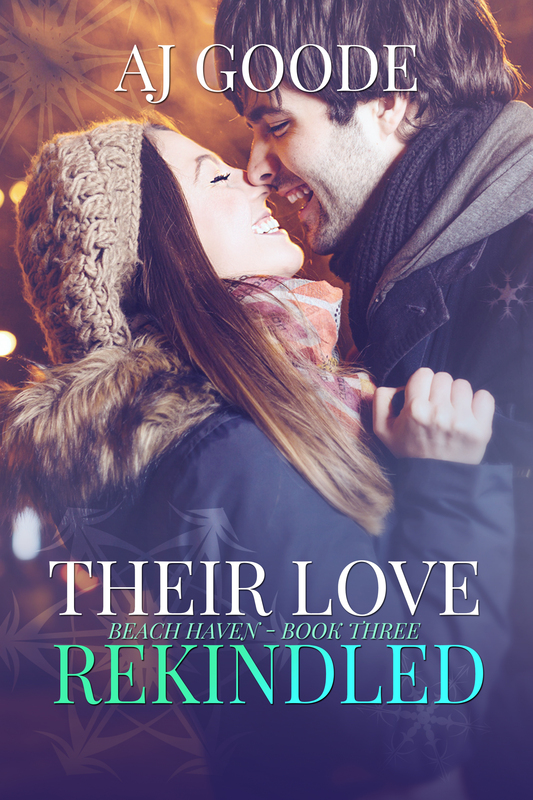 Well, it’s taken a bit longer than I had anticipated, but I’m almost ready to release the third book in my Beach Haven series: Their Love Rekindled. If you’ve read Her House Divided and His Heart Aflame, you may remember a young firefighter named Miguel “Mikey” Garcia, who died tragically in the line of duty. My newest book tells the story of those he left behind– specifically, his widow Cassie. It’s a story of healing, of forgiveness, and learning to love again. My first two books were set on the beach in summer, so it only seemed natural that this one should explore the raw beauty and power of the lake in winter. Personally, it’s my favorite time of year to visit the beach; I wanted to share that appreciation of a Lake Michigan winter through the eyes of Cassie and her former flame, Aaron. I’ll be sharing a “sneak peek” at one of the chapters soon, but for now, I’m thrilled to share the cover with you. Once again, I went with Jessica Richardson at CoverBistro.com, and I am really pleased with the results. As always, she did a fabulous job. I like your cover! It looks like a romance and will attract romance readers. Good luck and congratulations on you next book the series! Thank you, Connie! Best of luck to you with your series as well! Beautiful cover. She did a great job. Looking forward to read the book!